Passerina, according to Wikipedia, is both a rare local white grape that is found in the Marche and a DOC for wines of the same name. It has large berries, high yields and a long ripening period. It makes appealing wines with clear, focused fruit. Not a bad summation at all of this Highly Recommended wine. It has a rather rich straw colour. And there’s a mix of fruity and floral notes in the intense aromas. The palate is soft and fresh. Acidity is excellent and the finish is persistent. 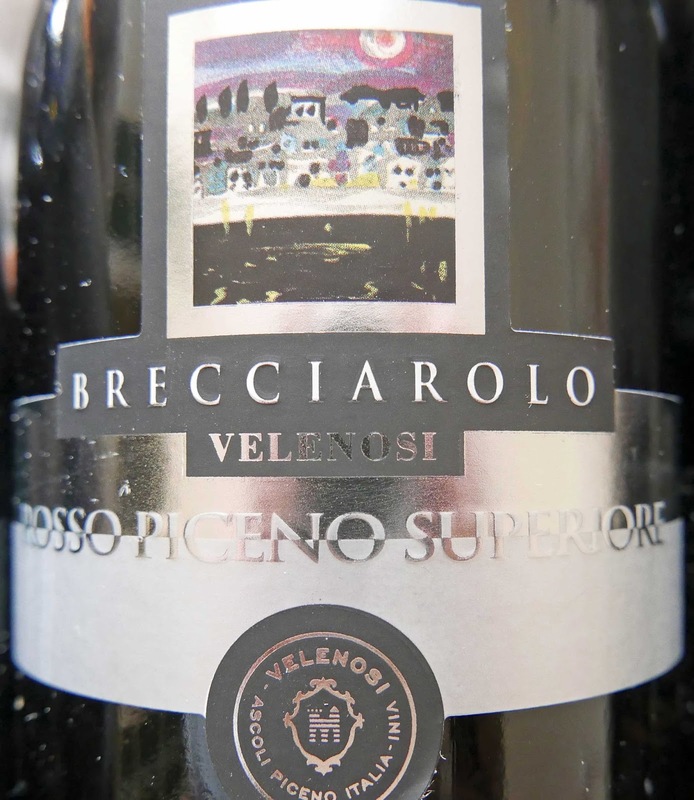 This is a blend of Montepulciano (mainly, c. 70%) and Sangiovese, It has been matured for c.24 months in new barrels. Brecciarolo refers to broken stones, typical of soil in the area. The colour is violet and the aromas (mainly of red fruit, especially cherries) are pretty intense. 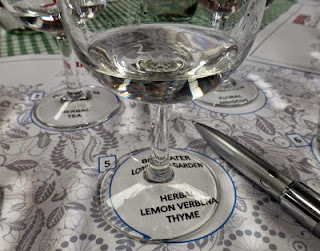 No shortage of strong flavours, spice is pretty prominent too, a refreshing acidity and it finishes well too. Warm, soft and harmonious, well balanced. Highly Recommended. Just like the Gold, this is a blend of Montepulciano (70%) and Sangiovese. After fermentation, the wine “is channelled into second-fill barriques where wines for the production of Roggio and Ludi had been kept the previous year. Colour is ruby with tints of garnet. There are rather intense red fruit aromas and a little vanilla there too. Warm and juicy on the palate, the red fruit flavours are well delivered, some spice too. One of those mouth-friendly wines, easy drinking, easy to like and Highly Recommended. 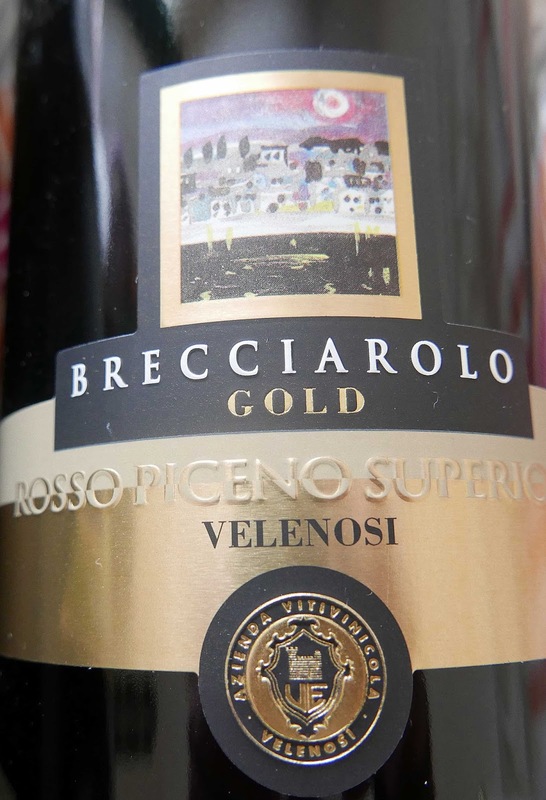 * By the way, Velenosi produce quite a range, including a delicious sweet wine. 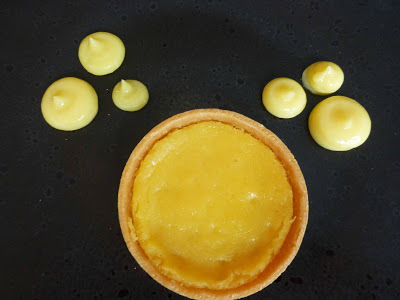 It is a favourite in this house and you may check it out here. Part Ring of Kerry, part Wild Atlantic Way. Part Ring of Skelligs. 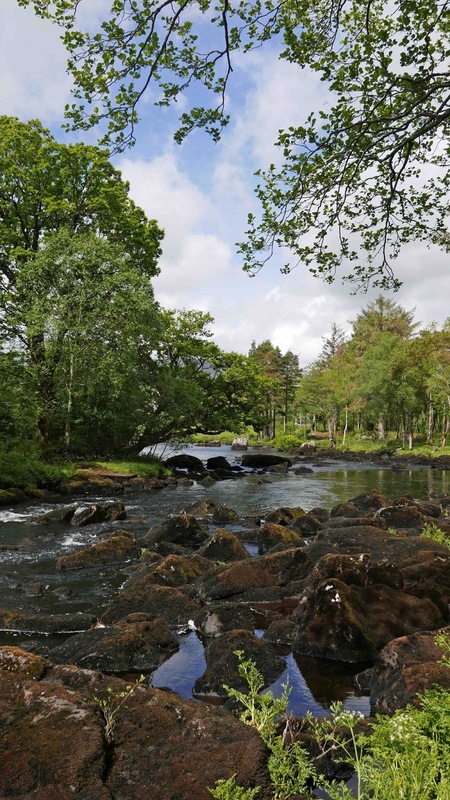 Mix them all up and enjoy the trip from Killorglin to Ballinskelligs, with a side visit to the lovely Blackstone Bridge and the Caragh River. If you are looking for a place to stay, there is no shortage. But I can heartily recommended the Carrig Country House, a lovely Victorian house on the shore of Carrig Lake; great hospitality and excellent food (including one of the country's best breakfasts). Just after one of those breakfasts, we set off on an inland spin, towards Glencar, a pretty place at the foot of the local mountains. If you don't climb, then there are many walks in the area, especially in Lickeen Woods. 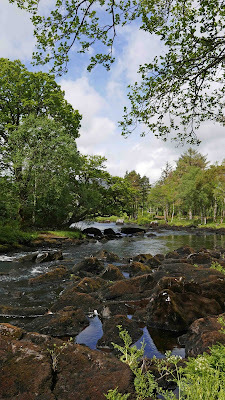 Here too is where the Caragh River flows over the black stones that give the bridge its name. It is a picturesque spot and some fishermen were on the backs at the time. Later, we would drive up the narrow road to the Ballaghbeama Pass. It looks bleak on a grey day but splendid when the sun is shining. You can make a U turn at the top or continue on down between the mountains to Sneem. 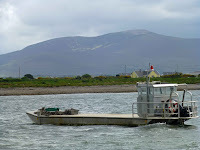 We came back and headed to Killorglin, passing the large statue of King Puck on the bank of the river near the bridge. There is a big car park just off to the right of the one-way (up) main street. We parked there and walked downhill with the church to our left. Then up a slope, again on the left, as a metal bridge loomed overhead. Up on the bridge, the old railway bridge, there are very good views of the River Laune and the road bridge that we just crossed. Time then for a snack. We were in luck. Had spotted a sign for Jack’s Bakery & Deli, on Bridge Street, and it looked good. We were the last customers! 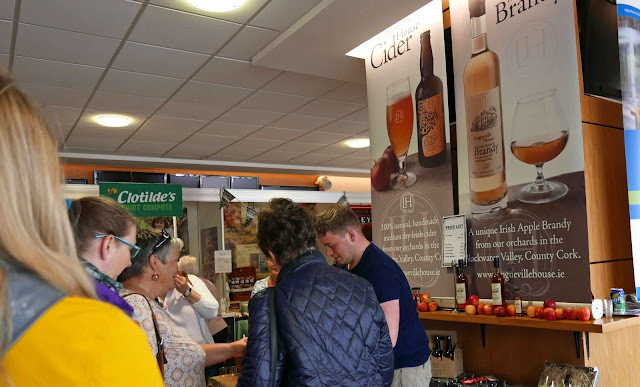 It was just past one o'clock on a Sunday but they were about to close up, having sold out! 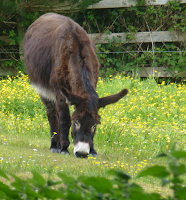 But they did feed us, a couple of well filled baps (the last of morning's baking) and, as we sat down at the outside tables, a big slice of chocolate cake was added as a bonus! Thanks Jack! 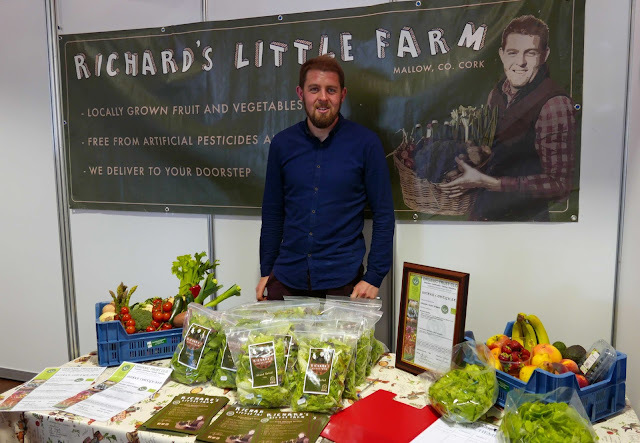 By the way, if you are in Killorglin of an evening, you might like to try the well known Nick’s or their younger sister next door, Sol y Sombra. 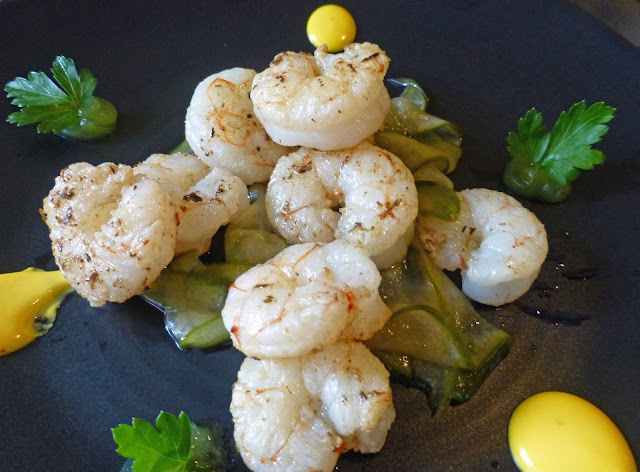 Nick's A la Carte prices can be a bit stiff yet one of our starters, Garlic Marinated Pan Seared Prawns with pickled cucumber and a herb vinaigrette, was one of the very best I've come across and worth the €12.50 price tag. 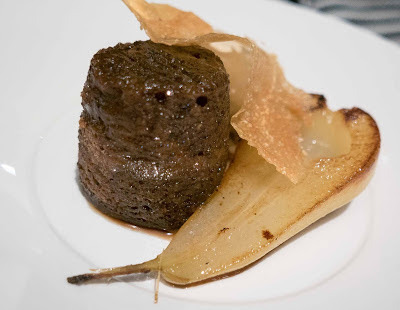 You may also find good value in the set menus, including one that offers three courses for €28.00. 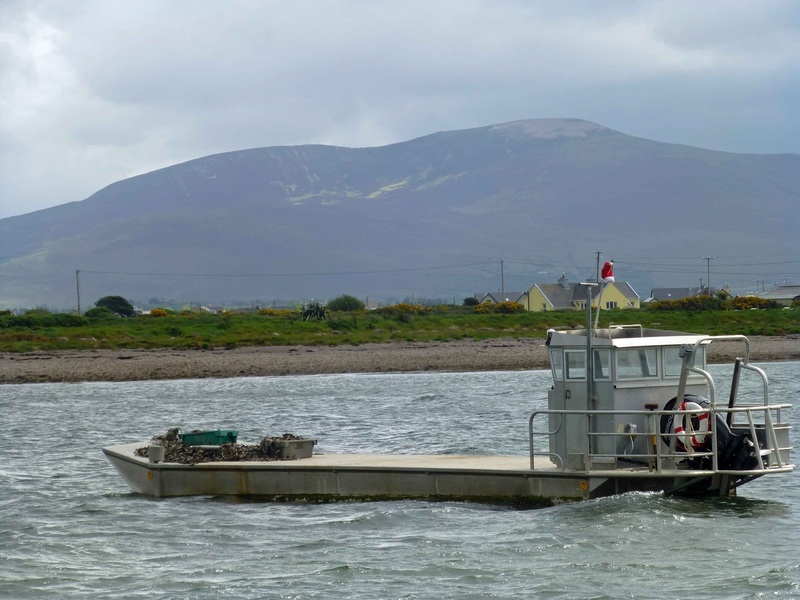 You’ll see Cromane mussels on many a menu locally and the village is close to Killorglin and worth a detour. Here, you’ll see the flat-deck boats used for the purpose. No work though when I called on a Sunday. Would like to have seen them in action as I did in various parts of France, especially in Marennes-Oléron on the west coast. The Red Fox Inn seems to be a very popular spot with tourist buses. And, if you have 20 minutes or so to spare, you might be interested in seeing the adjacent Kerry Bog Village (fee) for “a snapshot of Irish life in the 18th and 19th century”. The few bog ponies and the Irish wolfhounds weren't overly animated and there were no mountain goats on our visit. There are a number of cottages, containing lots of interesting everyday memorabilia and, in one, the turf fire is blazing and the room is full of smoke! In preparation for your drive on the Skelligs Ring, you might like to visit the Skellig Experience (fee) on Valentia. It has a cafe but the offering is limited and average. 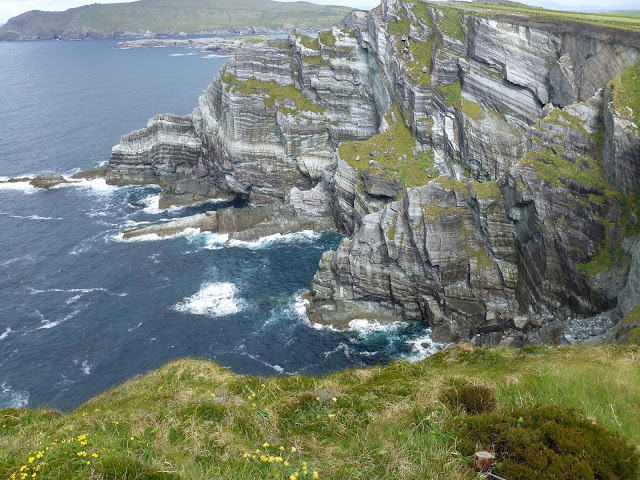 Pick up the Skelligs Ring in Portmagee and make a visit to the Kerry Cliffs your first stop. There is a small fee but you get a good walk and a few excellent viewpoints over the impressive cliffs. 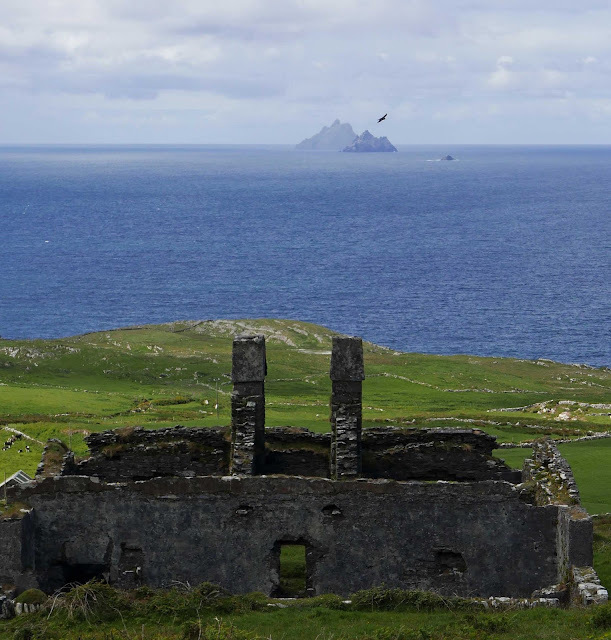 Continue to the coast and soon you'll see the signs for the Skelligs Chocolate (no fee). Here, you’ll get a warm welcome and get to sample their various offerings. If it is a working day, you'll see the produce being made. Lots of it for sale of course and I got some Strawberry and Champagne and also a white citrus (lemon and lime) chocolate. And they have the Puffin Cafe here as well. No sandwiches or anything like that. Just a treat for yourself. 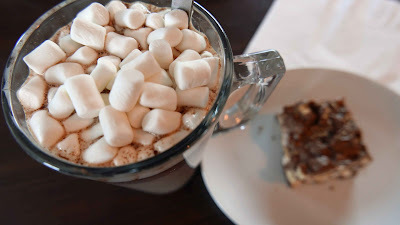 I enjoyed my tall glass of hot chocolate and a chunk of Rocky Road. Back to the road then, for a short spell. There is a great walk nearby, with views over the bay and the famous Skellig Islands. We drove to the trailhead but didn't have time to do the full walk around Bolus Head (it takes about three hours). 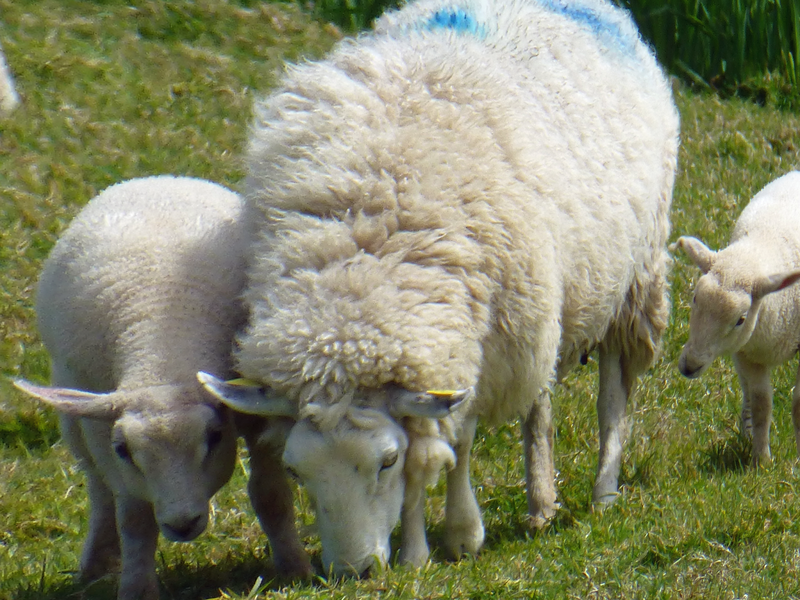 But we did enjoy our hour in the sun with the blue sea on one side, the hard fields full of sheep and their lambs on the other. Time then to turn around and head for Kells Bay and our final visit. 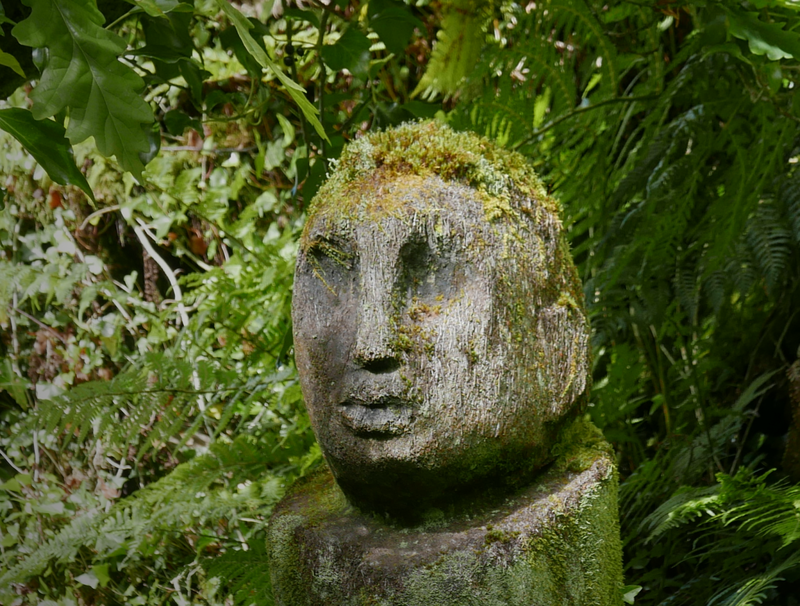 Kells Bay Gardens is one of Ireland’s foremost Victorian Gardens and contains a great selection of southern hemisphere plants. The hairy fern tree plantation is impressive and there are lots of tree carvings around to amuse both kids and adults. 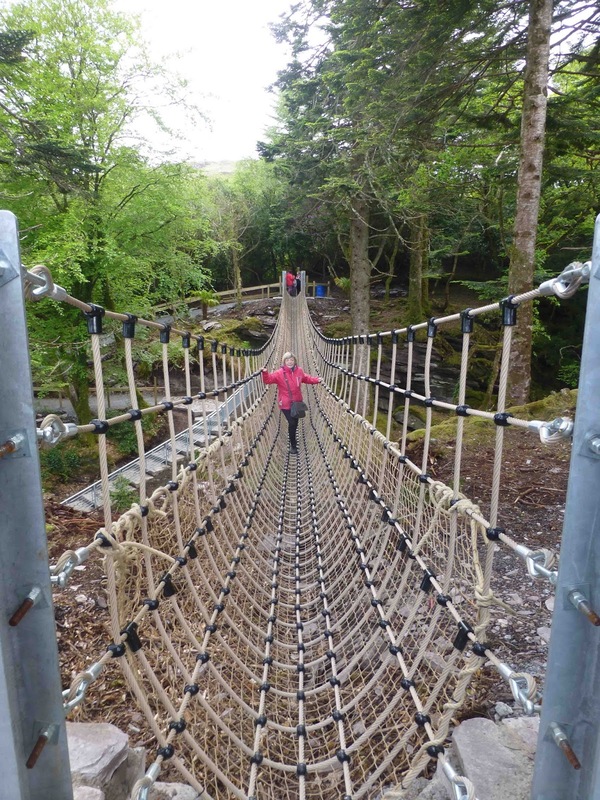 The highlight - and it is a new feature - is the Skywalk, a shaky rope bridge over a stream. You’ll need your two hands here, so be careful with that camera. After all the exercise, you’ll now be thinking about a well deserved dinner in the Lakeside Restaurant at Carrig House! And the revamp isn't confined to the inside. 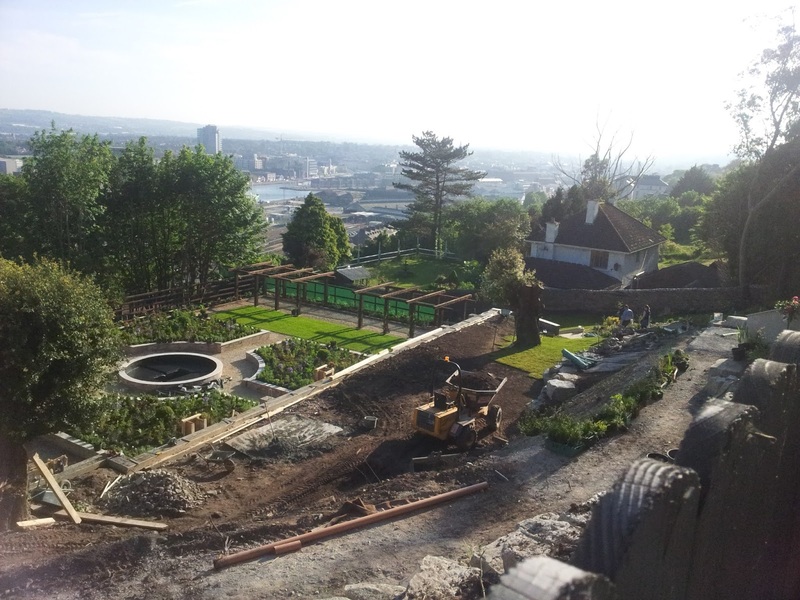 Below the level of the restaurant and out in front, a lovely new “formal” garden is rapidly taking shape. The rectangular centrepiece is divided into quadrants and the matching plants in the four areas are about to burst into bloom. And a feature inside, an unusual one, is the hotel’s very own cinema, The Cameo. And it is quite a luxurious room as we found out after dinner in the bistro last week. 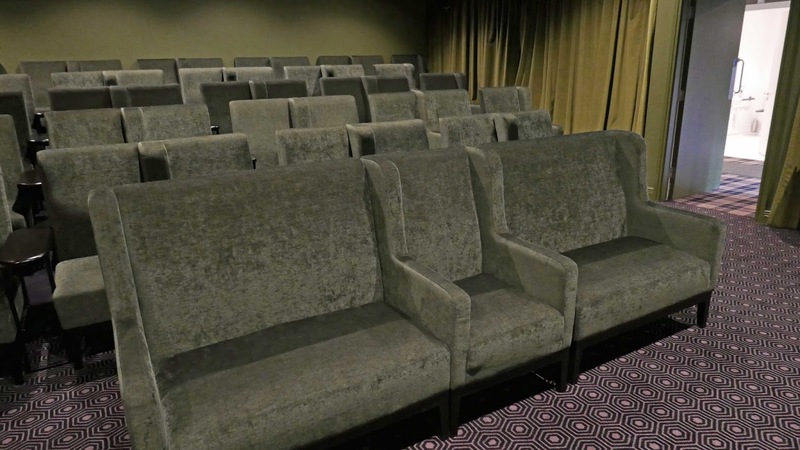 When you enter through the door your cinema experience immediately begins with curtained walls, cinema lighting, large projection screen, luxurious tiered seating, surround sound and the latest in cinema technology, you will not have an experience elsewhere like it. 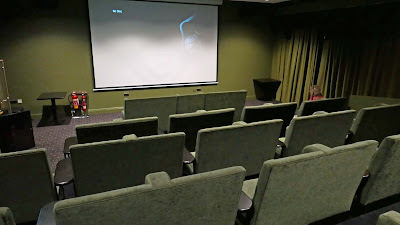 They offer themed film nights from Comedy to International; there is something for everyone. And the venue is for hire. The hotel caters for quite a few events and next month will start a series called “An Evening With…”. Author, model and nutritionist, Rosanna Davison, starts the ball rolling on June 14th. Among her accolades, Rosanna has been crowned Miss World, qualified as nutritionist, and is a successful top model and most recently she is author of two bestselling health, nutrition and fitness books ‘Eat Yourself Fit’ and ‘Eat Yourself Beautiful’. Ticket cost is €100 per person and includes the reception, evening meal with Rosanna, and a donation to the hotel’s charity the Daisy Chain Foundation More details here. There is a new chef Adrian Hillgrove in charge. He has wide experience including working at Rick Stein’s flagship eatery in Cornwall. He has a love of seafood and fish and you'll see some of his fishes dishes on the A La Carte for the Panorama here. There is a separate three course menu for the Movie Evening and we enjoyed that the other night. The place was busy but the staff were on the ball and there was no delay in getting us sorted, the menus, water and some very tasty bread on the table without fuss. Having read the chef's background, I started with the Chowder. I wasn't disappointed. The creamy bowlful was chock-a-block with red, smoked and white fish and a few mussels lurking there too for good measure. And CL was well pleased with a Watermelon and Feta Salad with chicken and orange and rocket. Off to a good start. And so it continued. 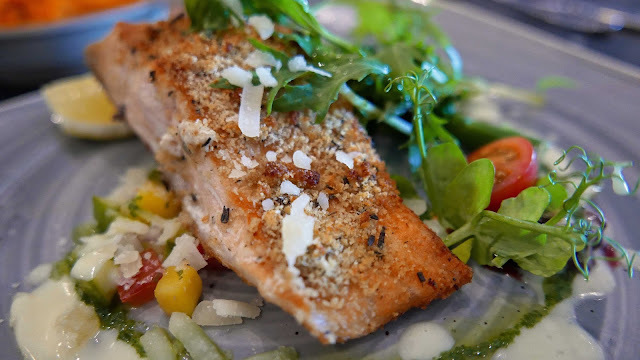 Sirloin Steak and Traditional Fish and Chips were featured on the Mains but I liked the sound of the Fillet of Salmon with Asparagus and Rocket; this had a fresh herb crust pesto, parmesan cheese, pink peppercorns and beurre blanc sauce. I liked the look and flavours of this excellent combination, loved the cheese and the pesto. Fairly simple and nothing over the top but a nice way of presenting the salmon. Across the table, the Pan Fried Chicken Supreme went down well. A highlight here was a lovely Jameson and Wild Mushroom Sauce. The celeriac mash was excellent too as were our side dishes of vegetables. The dessert list was short, with the usual suspects. 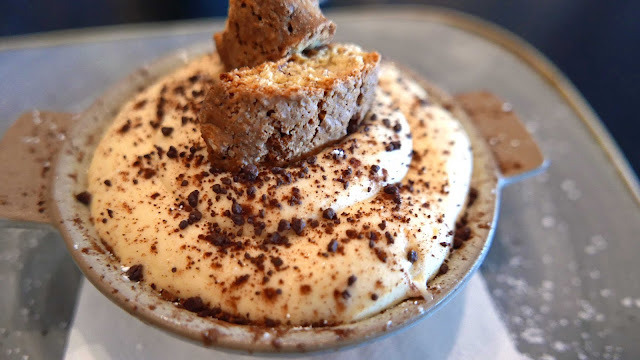 But I was in for a delightful surprise as my Tiramisu was one of the best that I've come across in a while. It was billed as a classic Italian dish, layered soaked biscotti and mascarpone cream, chocolate shavings. Plenty of sponge there to soak up all the sweet stuff! CL’s wasn't quite of the same class but not bad either. She had the Lemon Posset, poached winter berries, white wine stock syrup, blackberries, raspberries and ginger-nut crust. The berries were a little scarce but overall the lemon came through well. Two generous desserts, by the way and, on the A La Carte, each costs €6.95. After then it was time to head the Cameo, just a few steps away, and the movie! Lights out. Movie Latest: Agents & Heroes @ The Cameo Cinema for the Month of June. 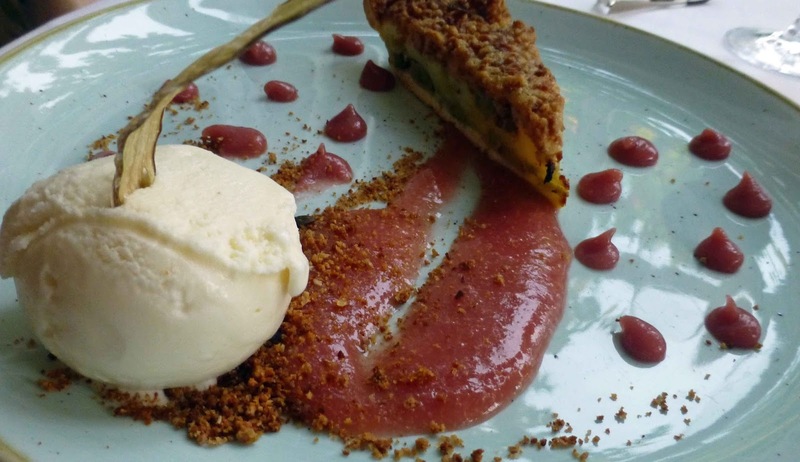 2 course meal €24.95 per person, 3 course meal €29.95 per person. The exotic atmosphere was soured by the news that Singapore was about to fall. But being one to make the most of a bad situation, McCarthy enjoyed the local hospitality on offer. Years later he would recall the taste of Dutch gin mixed with crushed ice and fresh lime juice, and the colonial feast of ‘riz tafel’ with a multitude of plates of meat, fish, vegetables, curries with steamed rice, all washed down with locally brewed Dutch draught beer. from A Doctor’s Sword by Bob Jackson (2016). Very Highly Recommended. 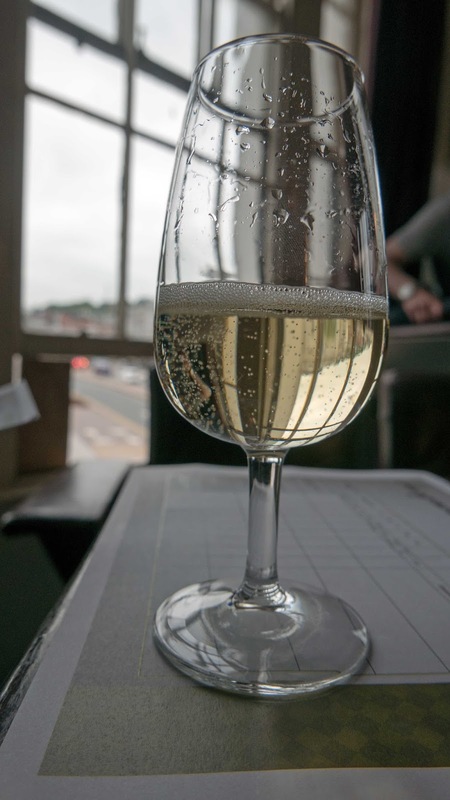 "Why we select the wines we do". SuperValu’s Buyer Tells How and Why. SuperValu’s Buyer Tells How and Why. “Why we select the wines we do.” That was the theme of the eye-opening Supervalu Wine tasting, a Munster Wine & Dine event, at L’Atitude on Wednesday night. 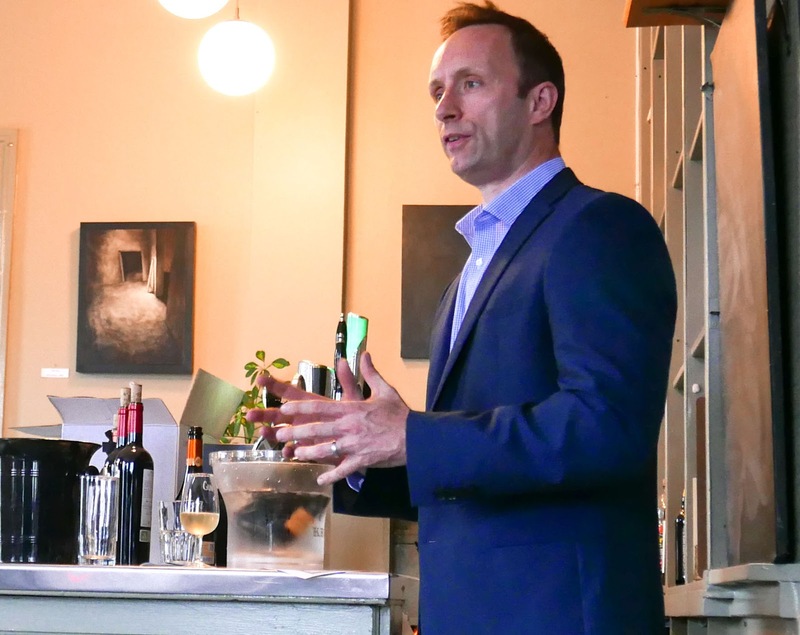 Kevin, who has been with the company for 13 years, says their aim is to make wine more accessible so “people can enjoy good wines at affordable prices”. 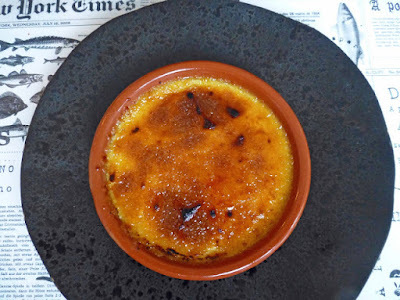 And that was underlined throughout the evening that started with a glass of Charles Mignon Grand Cru Champagne, this one, with its intense aromas of almond and apricot. It is “a good food match, a blend of Pinot Noir (55%) and Chardonnay and, at €45.00, well priced against sparklers of comparable quality". Next up was the Abellio Albarino 2015 (12.99, 10.00 on offer). Kevin is very proud of this one, not least because he helped design the label (just one of the ways in which SuperValu help their producers sell their wines). The Albarino, with its excellent aromas and flavours, is another terrific seafood wine. And it would be my favourite of the two openers, by a long way. We were using a points system to score the wines and I gave the Picpoul 84 points, the Albarino 92. Why the points? Kevin said it is an essential tool for the wine-buyer who could well sample over 100 wines at a session and the points system is a major help in differentiating between so many, especially at the end of a long session. So, since we were being put in the wine-buyer’s shoes, it was used on the evening! Nothing too serious though and we had quite a few laughs all through. Next up was a “personality” wine, the Graham Norton Sauvignon Blanc from New Zealand. Once SuperValu realised this was a serious wine - Norton was quite fussy about it - they went after the rights, especially since the comedian is from Cork. It has worked out well for all sides and Norton donates his share of the profits to charity. It is an excellent wine and, at €12.00, good value as well. And good value is something that Kevin and his team always have in mind. O’Callaghan, by the way, reckons that Sancerre is better with food than Marlborough. 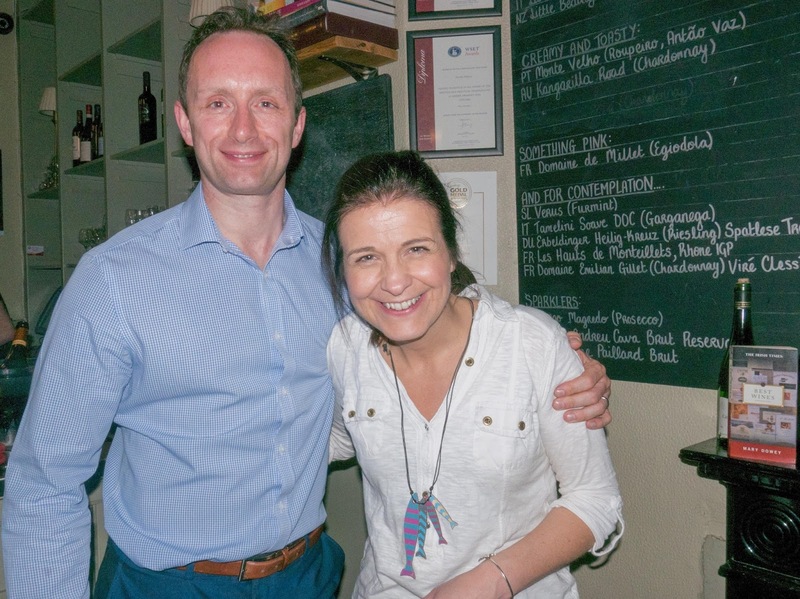 And speaking of food, the L’Atitude kitchen kept us supplied with a series of top notch bites throughout the tasting, ranging from Anchovies and Pepper on toast to Ummera Smoked Duck to a Pork Meat Balls with Olives to a Black Pudding and Apple in pastry. Chardonnay was next, the Nugan Estate Personality Dreamers 2013 from the Riverina and on offer at €10.00. A bit of a division around the tables here because of the oak, even though they don’t use new oak so the effects are muted. I liked it very much indeed. And more oak on our mystery white, this even more muted. The lightly oaked blend (including Bourboulenc, Roussane, and Grenache blanc) had us guessing during this blind tasting. It has a fabulous textural richness and a great finish. 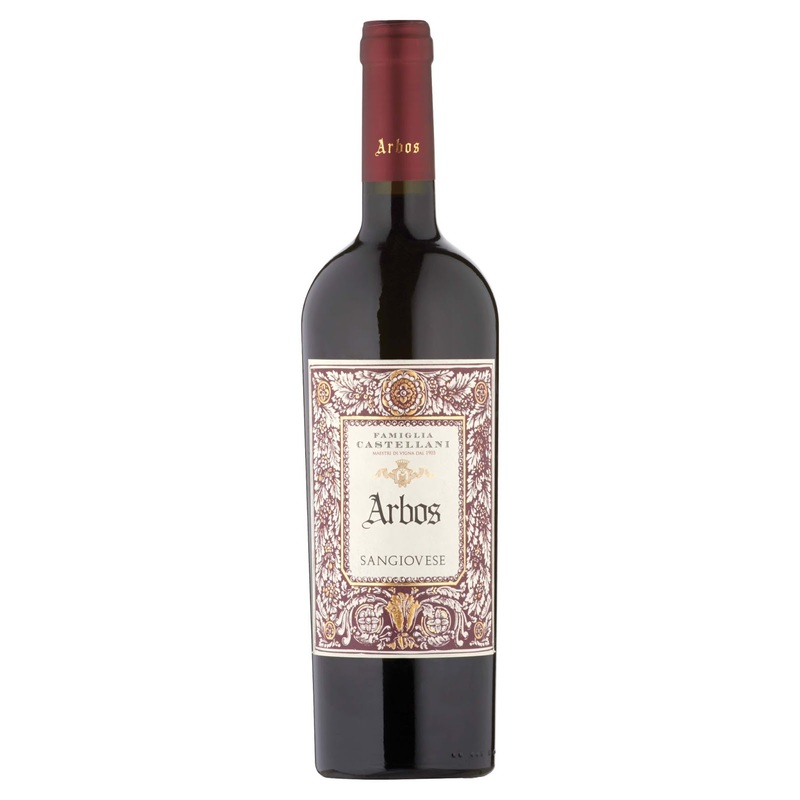 It comes from Corbieres and well worth seeking out at €10.00 on offer. “Is Rosé on the way out?” asked a member. “It is static, at about 4% of the market,” answered Kevin. “But we’ve brought in some drier ones, including one from Provence, with way more fruit and character”. The European ones, especially these new ones, are worth buying, he advised. If the whites were good (and they were very good), the reds were probably better. This time we started with the blind tasting and it turned out to be a Cotes de Roussillon, a blend of Syrah (45%), Carignan (40) and Grenache. Violets prominent in the aromas, nice acidity and “made for drinking now. A summer BBQ wine!”. He then introduced one of his favourites, the Castellani Arbos 2013 from Tuscany, 100% Sangiovese. Very approachable, easy-drinking, a garden wine, soft and luscious and a “good representation of the area and the grape”. Kevin described the next one as “a blockbuster”. And the Pagos de Labarca AEX certainly lived up to it. Great aromas and fruit and a lot of character. Lots of oak after 18 months in it, too much for some, yet this Rioja was my overall favourite. Price is €22.99, on offer at 18.00. On now to the Nugan Estate Alfredo Dry Grape Shiraz. Kevin admits to being a fan of apassimento (amarone style). This wine is made in that style, the partially dried grapes giving more flavour, more concentrated aromas. “Plenty of oak, full flavour, acidity, juiciness, long finish, good balance, high in alcohol but no heat.” Bring on the BBQ steak. €19.99, offer 15.00. I gave that a 92 and the same number to the Aresti Family Collection, a blend of a selection of red varieties from the Chilean family. Kevin is a major fan: “This is as a good a structured a red wine as you can get. Equivalents will cost you €40.00. It is regularly featured in competition and the lowest score it has ever attained is 91 points.” This is priced at a more modest €25,00 and 20.00 on offer. Take note! So what has Kevin, who started off as a 16 year old delivery boy in Galvins, in store for us in the near future. He is excited about a new Grenache, Syrah and Mourvedre blend: “This GSM is organic and is on the way. Should be on sale in September - can't wait for it!” It is by Fleur de Anon. “The last few years, we have been beyond the comfort zone. We hope to continue that trend and bring the consumer with us.” He certainly gained a room full of converts on Wednesday evening. * Most of the wines had two prices, the regular and the offer. SuperValu have a series of well-flagged offer periods regularly over the year. So, if you know your favourite is likely to be among them, then you won't have long to wait to stock up. 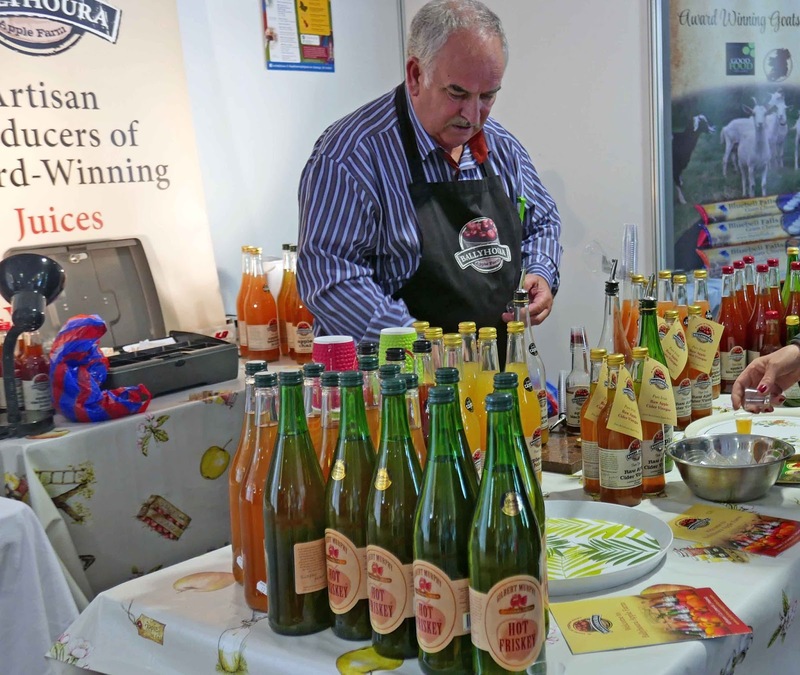 * Next Munster Wine & Dine event is the July 7th visit to Gubbeen, a premium event. Make sure you get your reservation in on time! If, as is said, location is everything, the Lakeside Restaurant at Carrig House near Killorglin, has it made. But, in a restaurant, food is all important and here too Lakeside is in a good place. Add location and that good food (not forgetting the impeccable service) and what more does a diner need. Good wine? You can count on that too. All organised by Frank and Mary who have been owners of this 1850’s house since 1996. So book early (the restaurant is open to residents and non residents) and get one of those window tables, though you will be able to see the lovely Caragh Lake (it has its bad moods too) from most tables. Other nearby rooms are in play too as you begin your trip to the table. If it is cold or even cold-ish, an open fire is blazing as you sip an aperitif and study the menu in one of the ante-rooms. 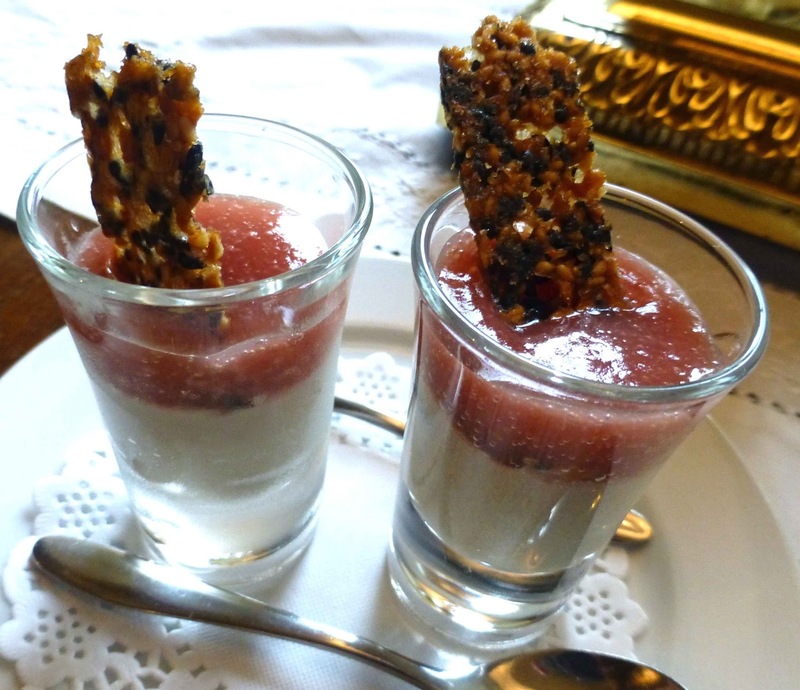 Here too, you’ll enjoy an amuse bouche and soon you are relaxed, ready to take the few steps to the dining room. 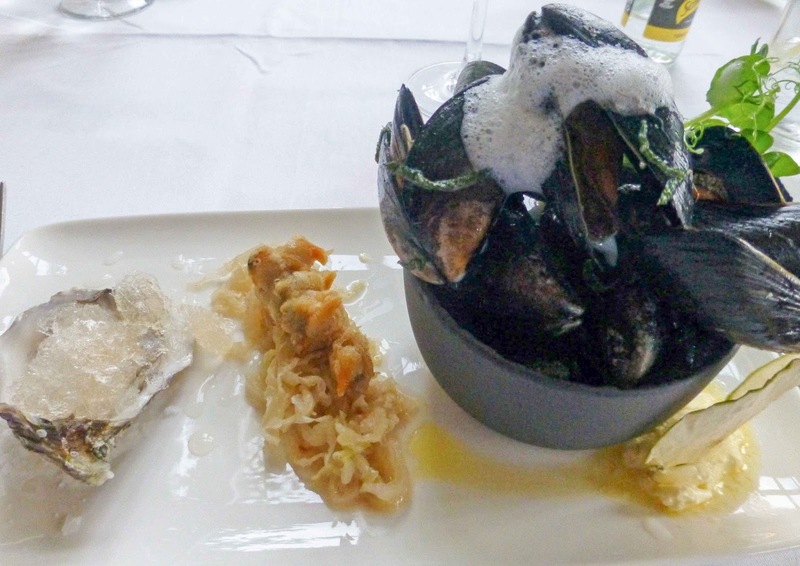 The long list of starters will almost certainly include their famous chowder and their Glenbeigh Shellfish Tasting. On our first visit (May 2017), I picked that Shell Fish combo: Steamed Cromane mussels, sage, cider, clotted cream, cockles tempura, Napa cabbage kimchi; shucked oyster, Prosecco granita. Well that fresh and chilly oyster was the star of the plate, no doubt, but the other, more humble shellfish, went down very well too. 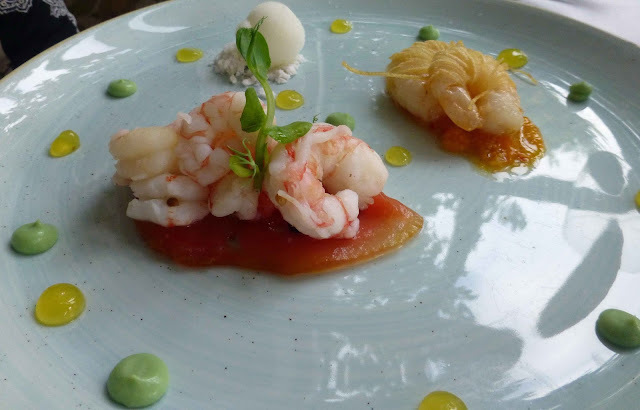 Meanwhile, CL was being royally entertained by her duo of Prawns: Poached prawn, watermelon, avocado purée, lime sorbet; crispy potato wrapped tiger prawn, physalis, and chilli relish. That lime sorbet was a terrific accompaniment and the crispy potato wrap another highlight. She loves her rabbit and so once the Rabbit Loin with smoked bacon popped up, it was a cert for her. 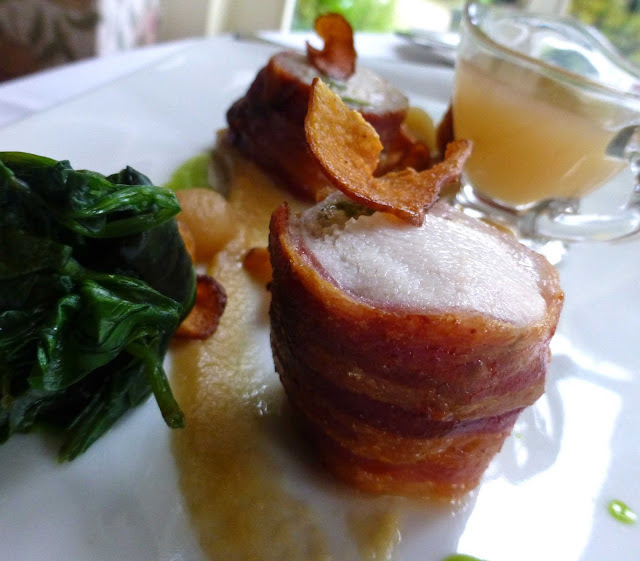 And a winner too, served with wilted spinach, Puck Fair Ale infused pear pearls (try saying that in a hurry after a few bottles of the local brew! ), Jerusalem artichoke, and bee pollen. And I rarely skip a chance to indulge myself in Skeaghanore duck and this was another beauty. 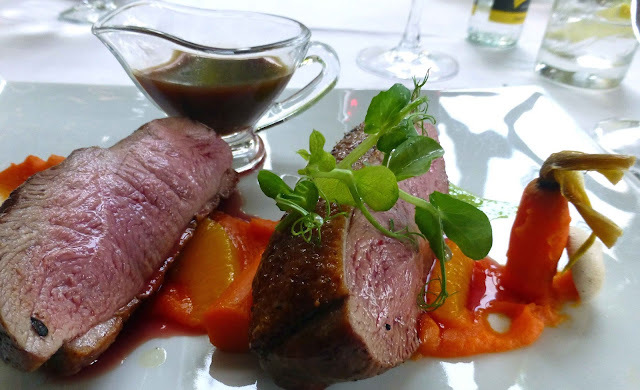 The full description: Skeaghanore Duck Breast, juniper spiced, blood orange, baby carrot, carrot and orange purée, meringue, lovage jus. And the wine? They have quite a choice. And that’s before dipping into the Reserved Selection. Frank was host, a superb one I will add, and he helped us pick the Esk Valley Pinot Noir from New Zealand, one of quite a few wines from both old and new world vineyards, and a good one too. The piano player wasn't on that particular evening but no need for music to put us in the mood for dessert. 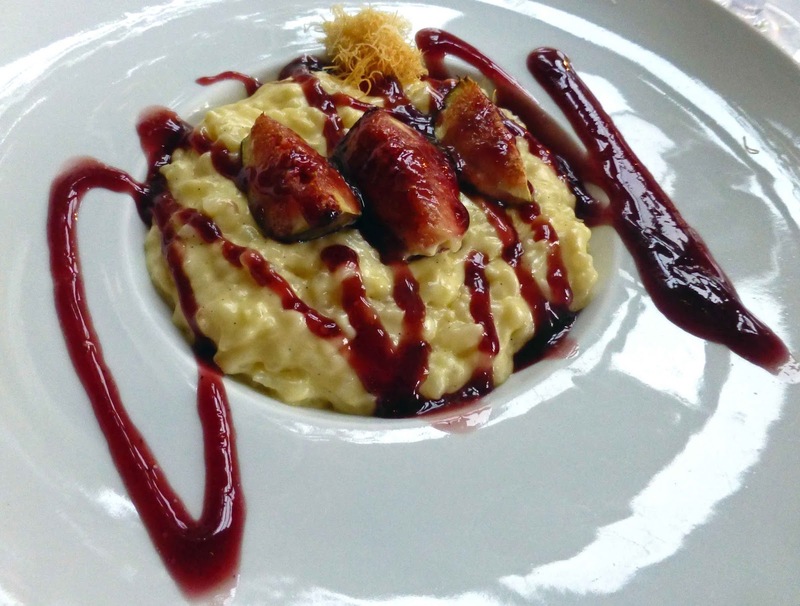 I spotted warm roast figs in one description and surrendered to the Warm Creamy Rice Pudding, a delicious and rich delight topped by those figs and served with a Port reduction and kataifi crisps. The other dessert at the table was the Rhubarb Crumble Tartlet, spiced rhubarb jam, and frozen yoghurt, quite a combination and one that kept CL happy. And the evening ended with another bonus, there being no need to go out at all. Just a stroll to one of the nearby lounges and a seat in the heat. Very Highly Recommended overall, not just the lazy luxurious finalé. “ Cork Dessert Festival” running from June 26th to July 2nd - a festival showcasing the finest confections that Cork has to offer. 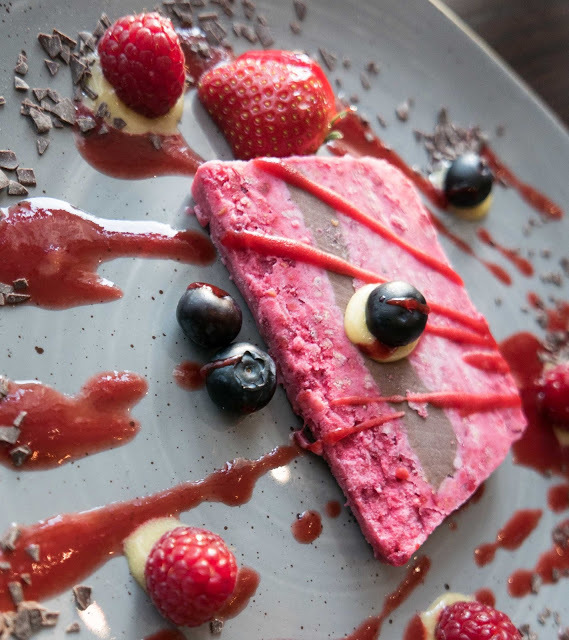 Across the week a number of well known venues including Electric, Sober Lane and Cafe Velo will pull out all the stops to deliver tastings, workshops and events allowing businesses & producers to promote their dessert offerings in a fun and innovative manner. 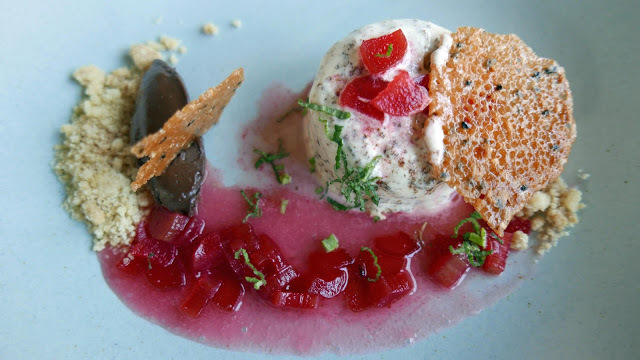 The Dessert Festival is the first of it’s kind in Cork and if the previous events hosted by Festival Cork are anything to go by it promises to be a real treat. The Maestro in top form at the Radisson Blu!